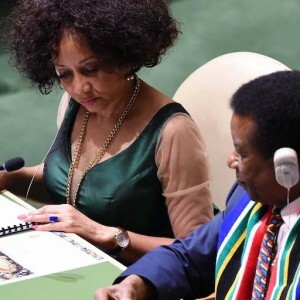 On 8 June 2018, South Africa was elected for the third time as a non-permanent member of the UN Security Council, for the period 2019 to 2020. The South African government now has the opportunity to develop a strategy that will guide the country’s actions in the Security Council. This report reflects on what South Africa can realistically expect to achieve in the Security Council, based on current trends of Council dynamics and expectations for the country. Gustavo de Carvalho joined the ISS in 2014 as a senior researcher in the Peace Operations and Peacebuilding Programme in Pretoria. Before joining the ISS, he worked as the Peacebuilding Unit coordinator at the African Centre for Constructive Resolution of Disputes, and as a researcher at Global Witness in London. Gustavo is experienced in capacity development, policy support and peacebuilding research in Africa. He has a master’s degree in African studies from the University of Oxford.